Late this evening, the P.U.P. issued a statement on the walk out. According to the Opposition, the standing orders of the House makes it clear that a Speaker can only summarily order the withdrawal of a stranger from the precinct of the National Assembly under order eighty-seven. 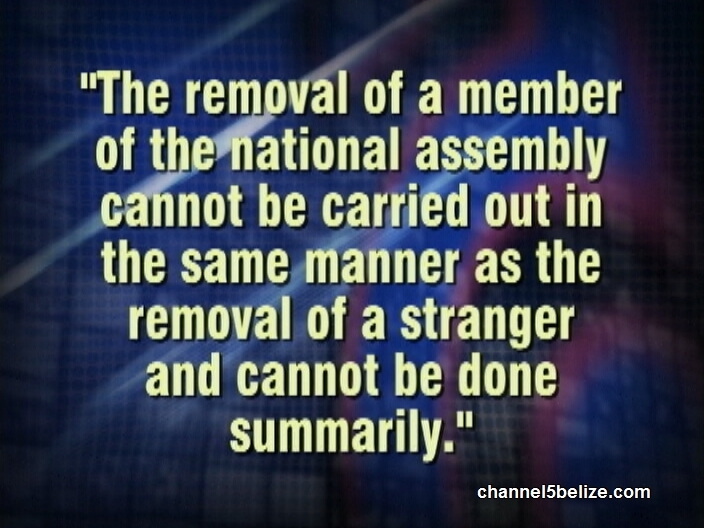 The Opposition says that the removal of a member of the national assembly cannot be carried out in the same manner as the removal of a stranger and cannot be done summarily. The Legislative Assembly Powers and Privileges Act makes clear that a stranger is any person other than a member of officer of the National Assembly. 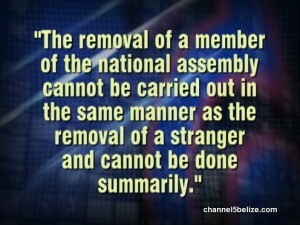 And the Opposition says that the Speaker therefore has no authority to order the removal of Senator Patrick Andrews.